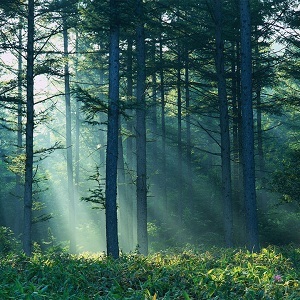 Experts are positive that forests will play a significant role in the new climate agreement. Russia, being so rich in forests, is interested in a proper inventory and accounting system for its forestry and land use, say Environmental NGOs. However, now is the time to create real economic mechanisms that are instrumental in forest conservation and restoration. Forests were one of the very important issues discussed at the recent climate negotiations in Lima, Peru. Although due to geographical position, the focus was mostly on tropical forests, Russian experts tried to broaden the scope of the discussion. As part of the Climate Summit, the official Russian delegation together with CEI (Center for Environmental Innovation, NGO) held a side event titled ‘Goals and Objectives of the Russian Climate Policy up to 2020 and Prospects for 2030’, which was focused on Russian forests, among other issues. According to representatives of Russia’s forest industry, it is important for fair principles of forest inventory to be reflected in the new agreement. The approaches towards accounting in forestry and land use must be non-discriminatory. Which means that the rules for inventory and accounting in this sector must be comparable for all countries, both developed and developing, and they must be applied from the very start of the commitment period within the new climate agreement. REDD (Reducing Emissions from Deforestation and Forest Degradation) is an effort to create a financial value for the carbon stored in forests, offering incentives for developing countries to reduce emissions from forested lands and invest in low-carbon paths to sustainable development. REDD+ goes beyond deforestation and forest degradation, and includes the role of conservation, sustainable management of forests and enhancement of forest carbon stocks. The Center for Environmental Innovation presented the existing experience in implementing Russian forest projects under the economic mechanisms of the Kyoto Protocol. So far, there have been two of those: one in Russia’s Far East, ‘Bikin Tiger Carbon Project - Permanent protection of otherwise logged Bikin Forest, in Primorye Russia’ (by the Tiger tribal commune, supported by WWF), and the second one in Altai, ‘Carbon sequestration via afforestation in Siberian settlements, Russian Federation’ (by the Center for Environmental Innovation). The Primorye project has already achieved results on the carbon market – it received the money in exchange for tons of carbon dioxide absorbed by the forest. The initiators of the Bikin project wanted to demonstrate that money in the forest industry could be made not from logging, but as the result of sustainable forest management practices. Indigenous population of the Tiger commune were engaged in traditional ways of forest use, such as hunting, and gathering of wild harvests. Loggers have tried to invade their forestland numerous times, but local people put an end to the attempts. It was made possible to register the forest area as a Kyoto project on carbon sequestration, which gave the Tiger lands an extra level of protection. Within the Altai project, forest belts were created on agricultural land to prevent soil erosion. In order to implement a Kyoto carbon project, the Center for Environmental Innovation took on lease former kolkhoz (Soviet collective farm) lands. Scientists believe that the ideal ratio for sustainable agricultural development should be the following: forest belts should occupy 15 to 20% of the territory, water bodies – 10%, infrastructural objects, such as roads, storages and residential buildings – another 10%. The rest should be agricultural land. According to Russian environmental NGOs, the part of forestry in Russia’s climate policy is largely underestimated. However, apart from governmental declarations of the importance of our forests, real measures to support forest climate projects must be undertaken. All the forest initiatives implemented until this date have been public projects. Besides, Russia should not ‘hide’ behind its forests by trying to use them when calculating the country’s total GHG emissions reduction. Russia should make a bet on sustainable forest management and create real economic mechanisms to facilitate the conservation and restoration of its forests.